Individual Prerequisites No prerequisites to attend the trianing class. 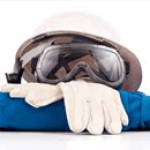 However to become an Asbestos Contractor in FL the following is required: 5-day contractor/supervisor course; 3-day respiratory protection course; Completion of at least 10 asbestos projects within the last 5 years; Pass the FL State Asbestos Contractors exam. Individual App Requirements If you wish to be a licensed Asbestos Contractor in FL you must apply with the state licensing division and pay an initial application & exam fee of $340. The renewal fee is $155 every two years. Visit http://www.myfloridalicense.com/dbpr/pro/asbest/documents/asbestos_faqs.pdf to learn more about these requirements. 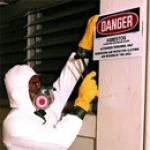 Individual Exam And Fees If applying to become an Asbestos Contractor in FL, you must pass the FL State Asbesots Contractor's exam. 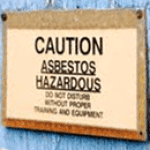 The Asbestos Examination Application Fees for Initial Applications is $340 for Contractors. Company Application Requirements If you wish to engage in asbestos consulting or contracting as a partnership, corporation, business trust or other legal entity or if you wish to engage in asbestos consulting or contracting as an individual you must obtain a FL Asbestos Business License. The fee is $255 every two years. Refresher Training Completion of a one day 8-hour course for each calendar year prior to the license renewal date. Reciprocity Florida does not currently have reciprocal agreements or criteria for endorsement of applicants from other states. You must meet the Florida requirements for licensure and receive a passing score on the Florida examination. The trainers were knowledgeable and the hands-on training was very informative. The trainers were knowledgeable and the hands-on training was very informative.